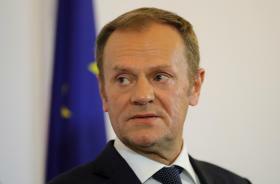 Donald Tusk has told a Polish court that he had no role in preparing an ill-fated flight that crashed in 2010 killing the country’s president and 95 others people – an incident which has loomed large over the country’s politics for eight years. Testifying at a court in Warsaw the European Council president, who was prime minister of Poland at the time of the disaster, said it was “obvious” that he should not have been involved in such day-to-day planning. The families of some of the victims of the crash blamed Mr Tusk’s government and sued officials, who they say did not make the necessary preparations to make the journey safe. The trial, in which Mr Tusk is appearing as a witness and not a defendant, has become a major political issue in Poland. Observers say the country’s government, led by the right-wing populist Law and Justice party, is using it to undermine Mr Tusk. “It is not and should not be the task of the prime minister or the president to influence any decisions as to place of the landing, the time of the landing, the destination, the type and the choice of the plane,” Mr Tusk told the panel of three judges. In testimony the senior European Union official, who represents member states’ interests in Brussels, also praised the head of his office and officials, who have come under attack over the incident, for their work. Lech Kaczynski, his wife the first lady, and many senior Polish officials and military leaders were killed in the crash on April 10, 2010. The incident happened near a makeshift airport in Smolensk, Russia while they were on the way to pay homage to the thousands of Polish officers killed by Soviet state security in 1940 during World War II. Official investigations have said the crash was an accident but the leader of Law and Justice, Jaroslaw Kaczynski, who is the late president’s twin brother, has blamed Mr Tusk and Russia for what happened and suggested it could have resulted from foul play. Last year a court of appeal confirmed an 18-month suspended prison term for Poland’s deputy head of the Government Protection Office for irregularities in the downed flight and another plane journey taken by Mr Tusk himself three days earlier. Poland’s government is currently engaged in a long-running dispute with Brussels over controversial changes to the country’s judiciary that the European Commission and others say will undermine the independence of the judiciary – including in constitutional courts that judge the validity of election results.